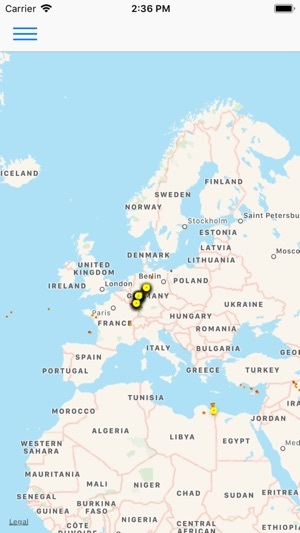 BlitzortungLive is an Application for monitoring Lightning-Strikes at nearly realtime. BlitzortungLive can be used for watching and monitoring Thunderstorms. The Lightning-Strikes are displayed nearly in realtime on the Map. 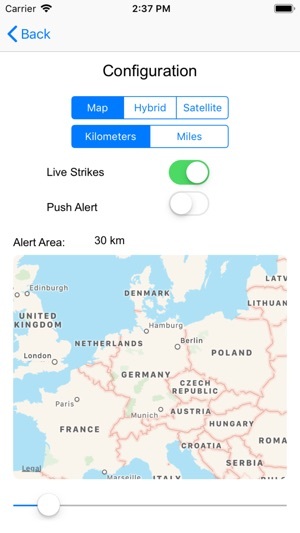 - Push Alarm if Lightning-Strikes are detected in a customizable area. The App Blitzortung-Live is an additional service to the main project Blitzortung.org (http://www.blitzortung.org). For general questions about Blitzortung.org and for ordering the necessary hardware if you want to be a part of the Network, visit the Link. Please consider the appropriate documentation, FAQs and instructions before contacting. Also, the discussion board is a good place for all questions and they will be quickly answered there. A lot of questions have already been answered there.